PHOTOS: Hilary Duff Is Hot — And Cold! — Hanging With Friends! Even with the busyness of her schedule — between promoting new music and filming her television series, Younger — Hilary Duff finds the time to chill with some friends in Los Angeles, California on December 20th. Unfortunately we can’t tell what kind of weather she’s having: is it warm out or a bit chilly? Rocking a snowcap and summery duds with a long sleeve tied around, it’s hard to tell, but she still looks awesome! Check out more pics of Hilary below! Sabrina Carpenter showed up to her friend, fellow actress Rowan Blanchard‘s fabulous 13th birthday celebration on November 2nd in Los Angeles, California. Rowan looked radiant in white for her party and Sabrina was rocking all black. The dynamic duo posed with friends on the red carpet and shared plenty of smiles and hugs. We can tell the night was a blast for Rowan, Sabrina and all in attendance. Selena Gomez Spotted Leaving Starbucks In LA! – Pics Here! Selena Gomez was spotted leaving Starbucks coffee shop in Los Angeles, California on November 2nd. Selena beat the unusually chilly fall weather in LA by rocking a long black sweater, tan scarf, blue jeans and boots. We hope that she enjoyed her relaxing coffee break! 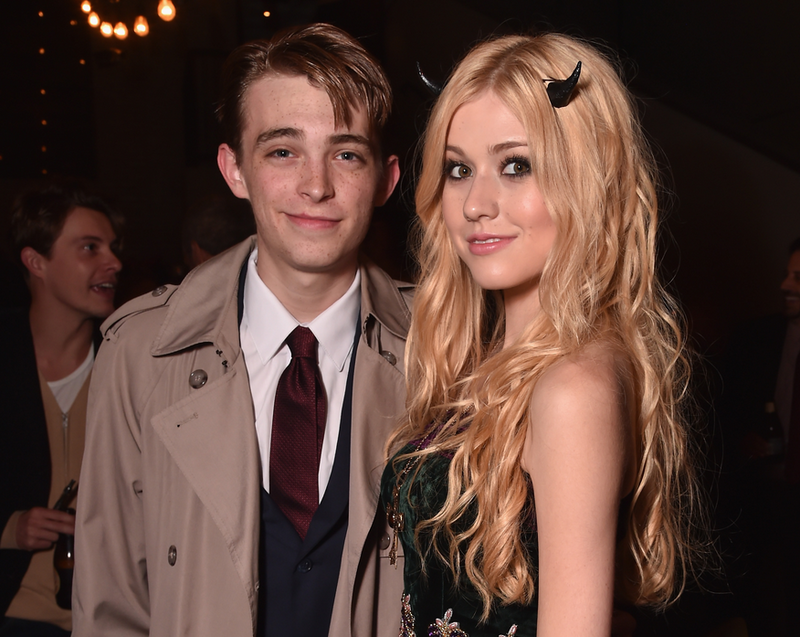 Katherine McNamara Attends ‘Horns’ Premiere After Party In Hollywood! Katherine McNamara looked glamorous in green and black at the Hollywood, California premiere and after party of Daniel Radcliffe’s new movie Horns on October 30th. Katherine posed with friends including Sabrina Carpenter and more at the special event. We hope she had a wonderful night! Sabrina Carpenter Attends ‘Horns’ Premiere & After Party In Hollywood! Sabrina Carpenter attended the premiere and after party for Daniel Radcliffe’s new movie Horns in Hollywood, California on the night of October 30th. Sabrina was all smiles as walked the red carpet, and later hung out with Daniel, Katherine McNamara, and friends at the event. What a fun pre-Halloween treat! 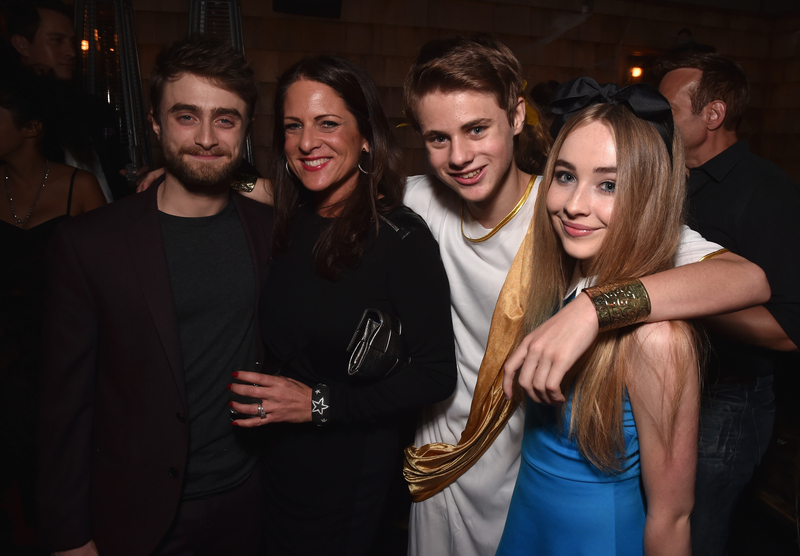 We can’t wait to see ‘Horns,’ and hope that Sabrina had a fun time at the event.